One of the many joys of a really good second-hand bookstore is coming on something unexpected but fascinating. Last week in one of my favourite Norwich bookstores, I stumbled on a book, published in 1902, called ‘Side-Lights on the Georgian Period’, by George Paston. I later found that ‘George Paston’ was the pen-name of a minor Victorian novelist and literary lady, called Emily Morse Symonds. For the next few weeks, I will be interspersing snippets from this book between the recipes taken from Katherine Windham’s ‘A Booke of Cookery & Housekeeping’ of 1707. One of the hardest things for me to remember, as a historical novelist, is how long it took to make even a simple journey in the eighteenth century. We’re so used to jumping in the car, or onto a train, and crossing the whole country in a few hours. Even for the wealthy, travel was hard and uncomfortable in Georgian and Regency days. The roads were generally bad, the carriages bumpy and uncomfortable, and you might meet with highwaymen along the way. Horses also had to be changed at regular intervals, which added more delay as complicated harnesses were removed, then re-fitted. Not surprising, therefore, that even a short journey needed careful planning in advance. 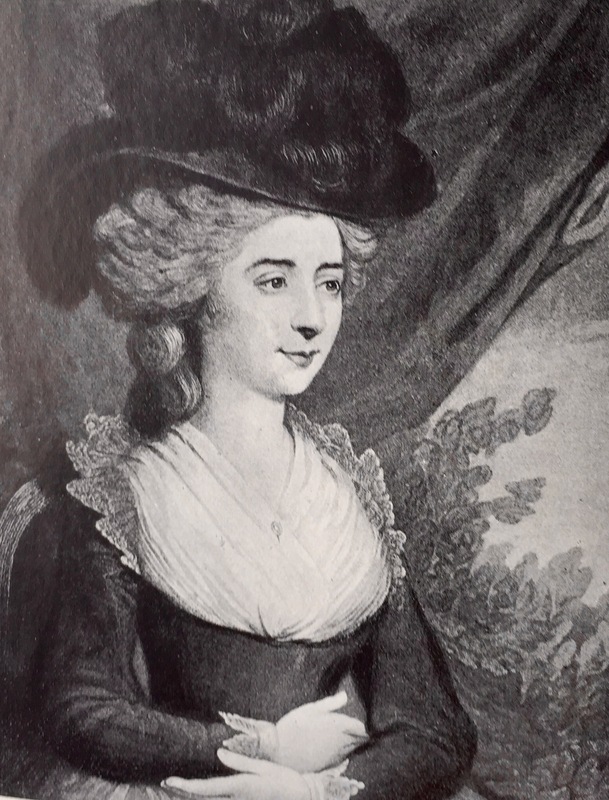 Fanny Burney, going the 20 miles or so from London to Windsor, also had to reckon that the horses she started out with would not be able to pull a carriage that distance, then return. I am just come to town to have a little peep at my father, and meant to go to Mrs. Walsingham tomorrow; but some circumstances obliging me to defer my visit to her yet longer, my wishes most earnestly lead me to wait upon you without more delays; for though quitting you afterwards will be truly unpleasant to me, I know not how to be reconciled, as I otherwise must, to staying still another fortnight before I see you. Can you then, according to your first kind plan, send for me to Hounslow, whither my Father’s coach can carry me? I could meet your chaise at he King’s Head, where I should stop for it, if not arrived, without getting out of the carriage. I am ready now at any time; but if the present should be at all inconvenient to my dearest Mrs. Delany, I beseech her by no means to hesitate in postponing my coming;—if, however, it may be directly, I shall be happier, for my patience begins to weary of so much exertion. Will my dear little Tyrant be so gracious as to write me a line, either if it will be more commodious I should take the happiness of waiting upon you some time hence, or to name the Day and the Hour when I may be met at Hounslow, which, on my part, will not require a moment’s further de1ay? It is good for us to be reminded of how slowly travel flowed in the past. And to recall that they had to wait for letters or visitors or newspapers to find out things we can get on our phones in a moment. I am also curious about why FB was so eager to see this lady. They were very close friends. Sadly, the friend (Mrs Delany) died not so very long afterwards. What’s also interesting is the extravagant language FB uses to express this closeness. I don’t think it is more than the custom of the time between close friends. Nowadays it would have a distinct overtone of a lesbian relationship—these were both mature young women.